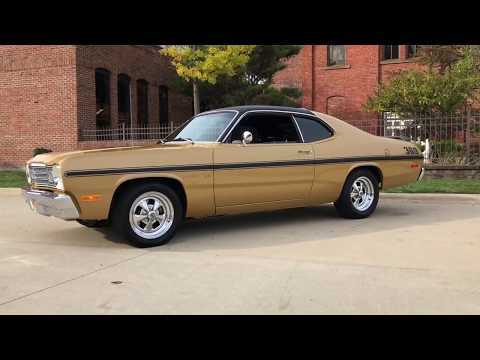 Rare "Gold Duster" Only needs speedometer cable or rebuilt existing, fuel gauge replacement, speakers and original dash pad has a few cracks.Detailed from top to bottom. Runs and sounds great. Paint shows excellent (Base/Clear). Fun car at an affordable price.